DIBI DOBO + LYNNSHA + JJK = LOVE ME !!! émi mon mion émi non love meee éééèè !!!!!! C’est fort, je perds le nord !! C’est ce qu’elle me dit mon ami !!! Linfin man mon lééé !!! Je perds le nord !!! émi mon mion émi non yo nou mi éééèè !!!!!! Dibi, dis moi, qu’est ce quelle t’a dit ? A moi elle a dit quelle me kiff ! Je tassure ke c’est quelle préfere ouououhhh !!!!!!! Nous deux c’est sans lendemain ! Qui peut me rivaliser ? JJK !!! Dibi Dobo !! And Lynnsha !!!!!!!! When she sees me, she just melts eahhhh !!!!!! I will be your queen and you my king! This feeling is strong, I'm confused !! That's what she tells me, my friend!!! she always wants to mess with me … !!!! mess with me … !!!! Dibi, tell me, what did she say to you ? she told me she's attracted to me ! I tell you she likes ME most uuuuhh !!!!!!! There is no future for us together! Who can compete with me? JJK !!! Dibi Dobo!! and Lynnsha !!!!!!!! 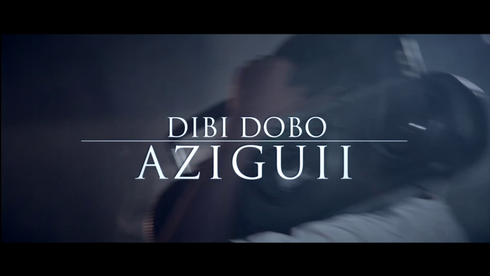 Copyright © 2013 Dibi Dobo. All rights reserved. Cotonouuuuuuu !!! Azigui zigui, let’s go !!! Alin mè ninnouwi ! yeah ! !alinmè ninnouwi o ou o!!!!!!!!!!! Alin mè assrocouin yié alin mè assrocuoin o ou ooo !!!!!!! Dé hé sèkpo diovi bo do gbéni vio konou dé bo fibi do sèguè !! Azigui zigui ! Aziguiiii !!! Allez Azigui zigui aziguiiii !!!!!!! Soyimavooooooo ouuuhhh !!!!!!!!!!!!!! Yeah ! Aïe ! Heyyyyyyyyyyyy, What’s up ? Till infinityyyyyyyy ! yeah, Dibi Dobo, Max B.
Cotonouuuuuuu !!! Amazing, let’s go !!! My sista, listen to me !!! Ghana boys, listen up !!! Vanechou, listen to me !!! Rosi chou, listen up !!! Her hips are 100 % flexible, omg ! Springy hips ! yeah ! Springy hips o oh oh ! Hips flexible like Beninese sauce “assrocouin”, yeah,flowing like sauce oh oh!!! But when he got near her, she gave him a large smile ! !So then, phenomenal transformation ! Wow ! Tactical retreat must be done! My guy, it’s time to get your legs in turbo mode! I just can’t believe it!!!!!!!!!!!!!! Motorcycle-taxi driver, take me to Gabon! Oh! Motorcycle-taxi driver, take me to Ghana, Yo ! She’s just gorgeous, I just can’t believe it !!! She’s just gorgeous, I just can’t believe it!!! I just can’t believe it ! Can’t believe it !!! Come one Hakpo Gobo [alias Dibi: his nickname] incredible ! Claudi Siar !!! Amazing !!! David Monsoh, yeah, yeah, yeah! Till infinity ohhhhhhhh ! Yeah ! Wow !